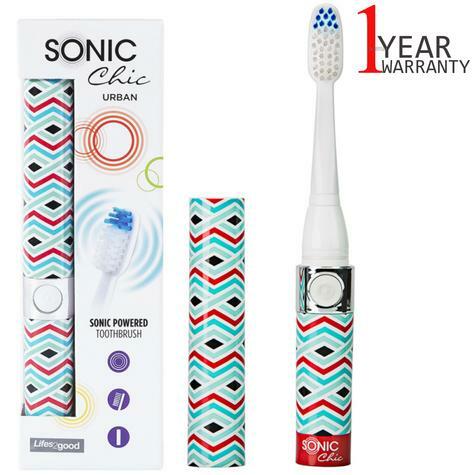 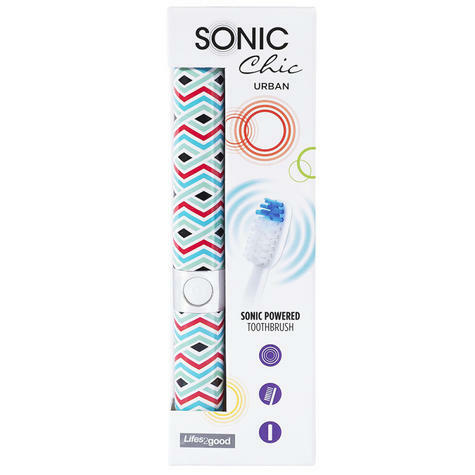 With a design inspired by the patterns illustrated by the Balmain collection at Paris Fashion Week, this functional and compact SONIC Chic toothbrush includes a spare URBAN replacement head in addition to the head on the toothbrush. 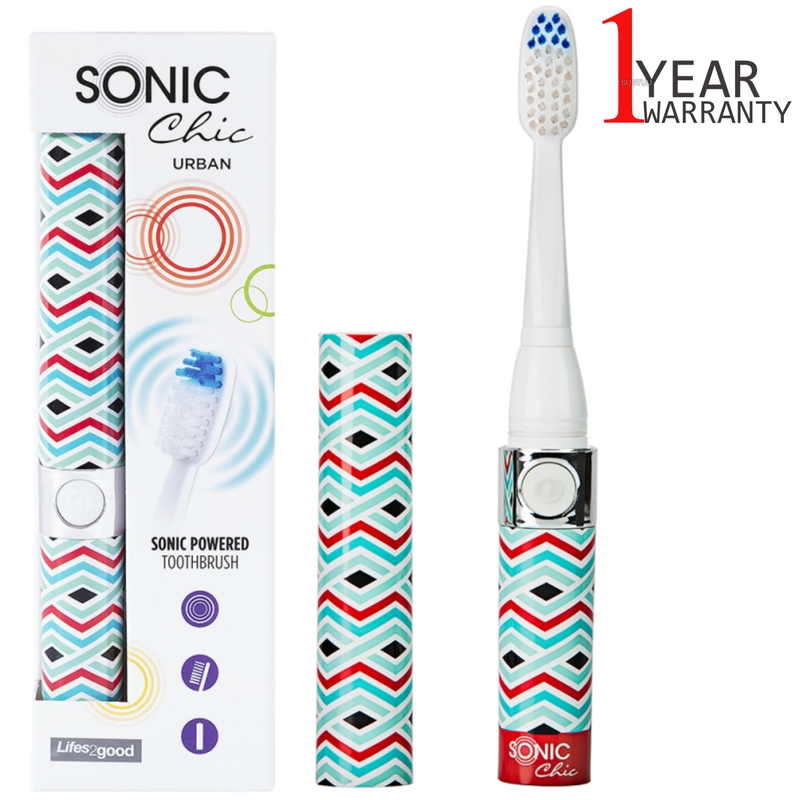 It runs from one AA battery, and the battery is included! 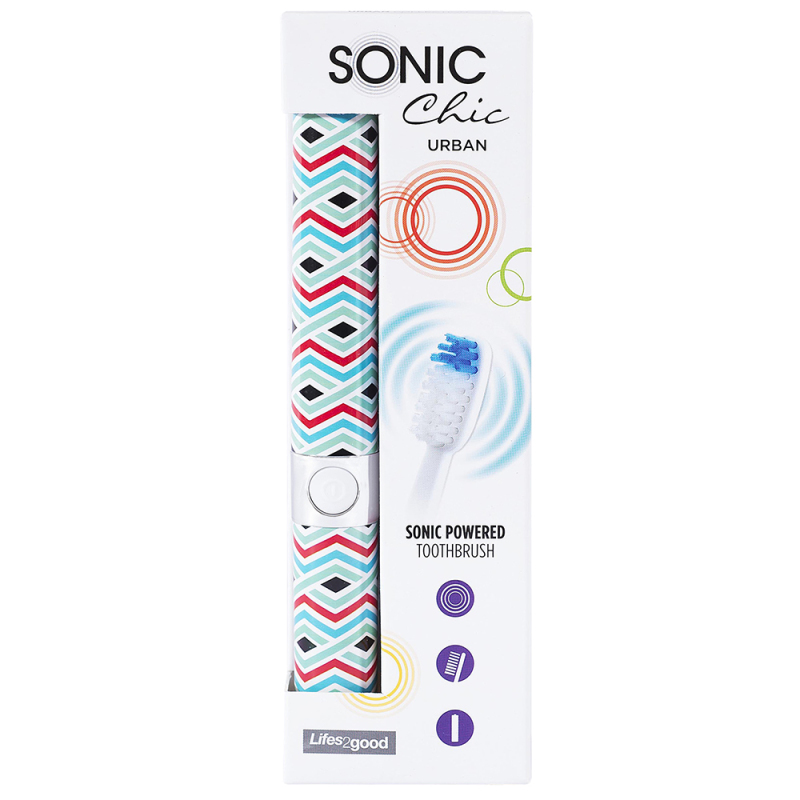 With a speed of 22,000 strokes per minute, the SONIC Chic URBAN is the perfect travelling companion to keep that sonic clean feeling all day long! 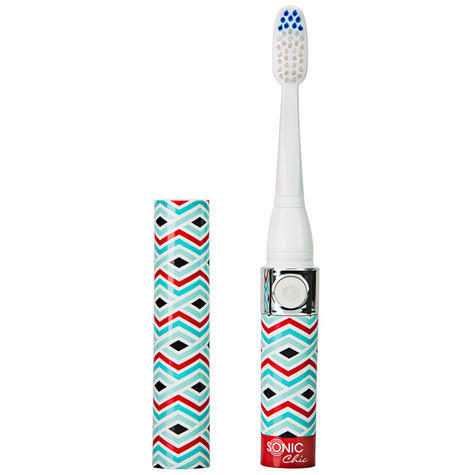 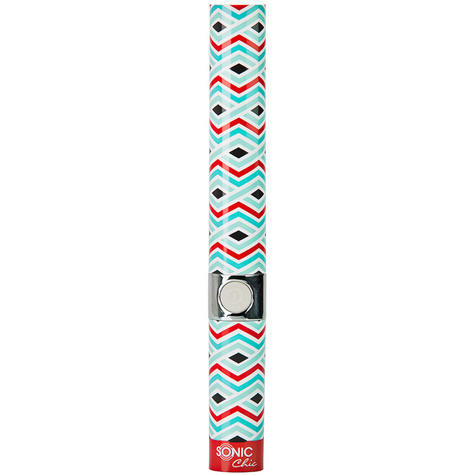 This compact toothbrush, with hygienic cap and fun designs, is the ideal travel toothbrush to carry in your handbag, take on holidays, to the gym or wherever you go.